Transhumanism does not aim to replace human beings with "better models". It is quite the opposite - transhumanism is an expression of respect for the human as a being that creates, invents and perpetually moves forward. Natasha Vita-More is an American designer and theorist. She is designer and author of "Primo Posthuman," a future whole body prototype. Vita-More is an adjunct professor at the for-profit University of Advancing Technology (2012-current), and a Fellow of the Institute for Ethics and Emerging Technologies. She is currently Chairman of the Board of Directors of Humanity+. Aleksandra Przegalinska interviewed professor Natasha Vita-More during the London Futurist Forum 2014. Transhumanism is a controversial system of ideas. Many of its demands are difficult to accept. How did it happen that you became a transhumanist? I am fascinated by how science and technology provide new ways to see, experience and understand the world—from microscopes to telescopes. Yet, not until the x-ray machine and now MRI, fMRI and C-Scans, can we look inside the human body. It is because of the lack of personal knowledge of my own body that caused me to think about how vulnerable humans are. From my own experiences, I witnessed this vulnerability. Some years ago, I lived through an experience that changed my life. I was pregnant but did not know that it was a life-threatening ectopic pregnancy. As a result, I lost the pregnancy and I almost died. For this reason, I began to think about how defenseless we are when we do not know what was occurring inside our bodies. Up until recently, with the advent of smart apps, have had little access to the processes that occur within the body. For example, anything could happen at any time without our knowing. While people age, get sick, and grow old as an evolution of aging, other types of complications such as cancer, heart disease, cellular breakdown, etc. could be developing quietly and unnoticed, and unless we find out early, the disease could become untreatable. Because of my own experience with the ectopic pregnancy, I thought about the possibility of a future body design that could be communicated with directly—a body in which cells and systems could relay information to the brain to inform a person of early states of cellular irregularities that could become disease. I wanted to design what I call a “smart body” that could send signals to the user/wearer. I took it a step further and envisioned this smart body as a vehicle that could self-repair itself. It was at first a dream, based on projections of future science and technology, including wearable technology and devices that would interact with a person. My passion for this and my logic stems from the fact that disease happens, whether we know of it or not, and it abruptly interrupts life and by this, can and often does take the joy out of life. So you designed the "body of the future"? I designed this “smart body” of the future in several stages over the years. The first iteration was “Primo 3M+, a mobile device that takes a person from one location to another. I used this locomotion activity as a metaphor on a vehicle (car). It was fun and light-hearted: This radical body design is more powerful, better suspended and more flexible—its body offering extended performance and modern style. The expansive interior provides advanced Metabrain and enhanced senses. Our nano-engineered spinal communication system runs under the guidance of networked AI with a wide range of optional features. 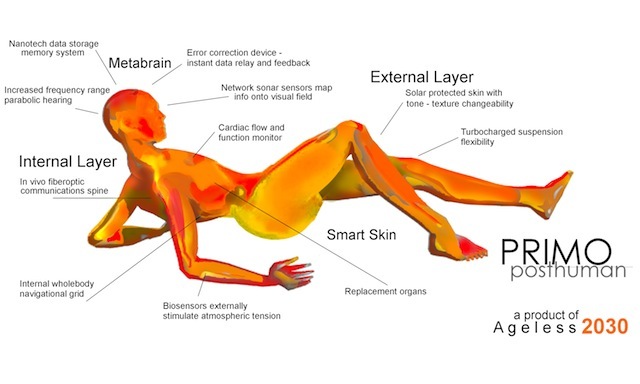 The second iteration of this “smart body’ is known as “Primo Posthuman”. In this design, I became more focused and serious. I developed a scientific team of experts to advise me in the fields of nanotechnology, artificial intelligence, biotechnology, wearable computing, and cryonics. I also created an entire website based on a point and click through the body for people to learn about emerging and speculative advances that could be developed. Primo Posthuman is both a theoretical and practical whole body prosthetic, which prototype was developed to answer problems cellular breakdown, disease and the finality of death. The third iteration is known as “Platform Diverse Body” and can be used in the material, physical world and the computerized or virtual world. In this sense it could exist in the biosphere and a routing system to transfer personal identity into virtual worlds, for example. Another feature which I developed for this concept is what I call “Substrate Autonomous Person”, meaning that the person wearing or using this body would be able to move back and forth between platforms or environments seamlessly. A metaphor for this could be that s/he has a self-governing passport across platforms and not be subject to discrimination. Since human enhancement is the foundation of these “smart body” designs, the theoretical and philosophical aspect of the designs are essential. 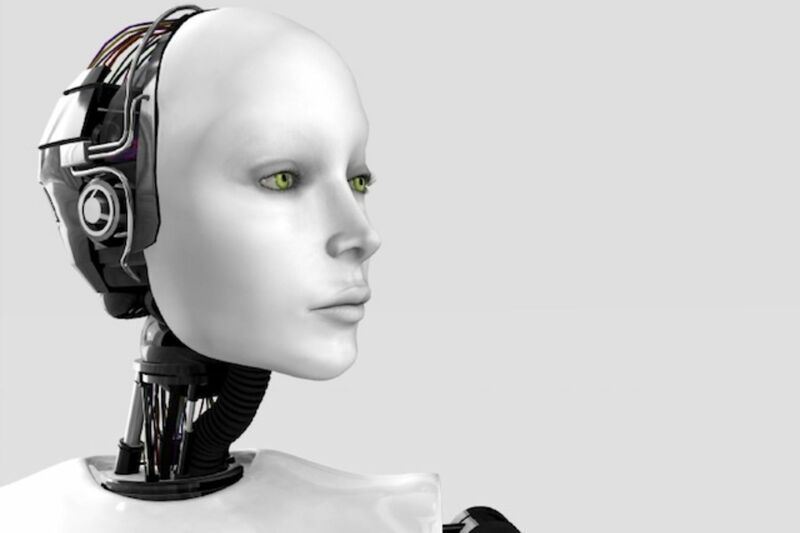 Can you tell us more about the Transhumanist Manifesto? I wrote Transhuman Manifesto, which was published in 1983. I wanted to capture the human condition in the process of transition. I also wanted to show that we could dramatically improve the condition of human life; we can effectively cure the sick, give voice to the mute and sight to the blind. Nevertheless, we need to re-consider a lot of the values that guide our daily life today. One of these is the ability for a person to alter physiology. Along with this notion is the concept of Morphological Freedom, meaning that a person has the right to enhancement him or herself and the right not to be coerced to enhance, and is a right that transhumanists advocate for. People who support morphological freedom want to retain the right to keep or modify their own body at their own wish, on the basis of informed consent and through the use of available technological means. It is remarkable to me that transhumanism, in fact, is both a philosophical and a practical movement. I wonder if it has any connection with the fact that the movement develops mainly in the United States? The US has been a melting pot of innovations developed around the time of the dot.com era. And due to the various movements, such as hippies, grass-roots, self-help, self-realization, etc, that developed in the US; the environment is more open to change than many places in the world that has had centuries old traditions. But many of the ideas held within the worldview of transhumanism are brought forward from other times, especially early thinkers whose research was focused on life extension and human evolution. 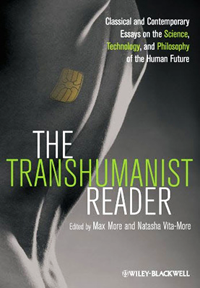 As for the specific philosophy of transhumanism, Dr. Max More wrote the transhumanist philosophy. But he is from England. Also FM Esfandiary (FM-2030), although the origin was Iranian, worked and taught in the US. I was born here, so at least I provide the historical link to the US, so one could say 1/3 of the movement is US based! So, in some way it is true that United States is a fertile ground for the development of transhumanism, even though I should underline that the movement develops worldwide. In the U.S. we nurture the spirit of entrepreneurship, and pragmatism. It is maybe a bit easier here to talk about philosophy and metaphysics as a practical project. Most transhumanists do not want to just theorize about the future of human being, but to embody this future themselves. Now, back to the controversy. Do you think that transhumanism is demonized? Maybe not demonized, but certainly is has often been misunderstood. Many people fear change. Many people are concerned about advancing technology. Many people worry about over population and the Earth’s resources. However, we all change. A person living 100 years ago who is still alive has experience enormous change. And even over the past 20 years, life has changed beyond what anyone might have forecast. The Internet and computerization of life has change our ability to communicate, and thinking about my “smart body’ designs, the way in which we communicate with our bodies. The idea of transhumanism is to use ethical and innovative means to help counter the onslaught of disease and to extend life. Transhumanism does not aim to replace human beings with "better models". It is quite the opposite - transhumanism is an expression of respect for the human as a being that creates, invents and perpetually moves forward. Transhumanism supports biology, engineering, development of new technologies - these are all creations of humans. Of course, they can be variously used, but transhumanism proposes solutions that go hand in hand with sustainable development. Transhumanism supports such values such as empathy, tolerance, diversity, as well as charity and culture of open collaboration. Transhumanism calls for the ability to change and extend life. It also stresses that enhanced, extended life should not only be a platform for professing one’s own self-centeredness. On the contrary! What scares me the most today in the world, are egomaniac rulers and leaders. We did not work on the extension of life, so that such people can rule over others and inhibit their aspirations and ambitions. A transhuman has more options, better cognitive abilities, more energy and therefore should engage in social affairs, be creative and full of empathy. Only such a scenario, in which people are reflective, engaged and socially sensitive, will be considered successful as transhumanist, otherwise it could be a scenario of a dystopic world. What about the dream of immortality? Is not it an expression of self-centeredness? I would like to rectify that transhumanism does not refer directly to immortality. Immortality is a concept from a different vocabulary; it is derived from a different dictionary: mythology, religion, and fairy tales. Besides, the word "immortal" implies the inability to die. Conversely, the transhumanist goal is to extend life for longer periods of time, in which, one would not be compelled to eternal life, even if (just theoretically) technologies that make it possible are within our range. Everyone has the right to decide for themselves. The transhumanist perspective suggests extending life in order to maximize human potential. There are so many positive things that a healthy, long-living person can do. We are working to give people this opportunity. Well, and how about overpopulation? Is it not a huge problem? There are more and more of us. If we prolong the life of people more and more, will there be enough place for us? Yes, overpopulation is a problem that we look carefully at. Note however two issues: overcrowding relates to certain parts of the world, in the more technologically advanced parts of the world lack of people is a bigger problem. When societies grow richer, they tend to reproduce less. Nonetheless, we are quite sure that global growth will be higher and higher. It’s true. But let us consider how much is happening on the exploration and colonization of space. There is information that reaches a wide audience on a massive scale, but certainly in this area also we can expect major changes. And thirdly: many people say that older people just need to die. To me it seems quite appropriate and disrespectful of elderly people. They also want to live. In general, we do not want to die. I think we should change the ways of thinking about death and its inevitability. Do you think that transhumanism may be a universal worldview? What about religious people? Can they also declare transhumanism? Of course, they can! My mother is 95 years old. She is an Episcopalian and still declares herself a transhumanist. I was raised in Christian home. I have studied several religious and spiritual beliefs, and practiced them somewhat. I value and respect traditional views and diversity, and I do not see a problem in connecting faith and transhumanism. A Caveat here would be that such faiths do not claim we are compelled to die. 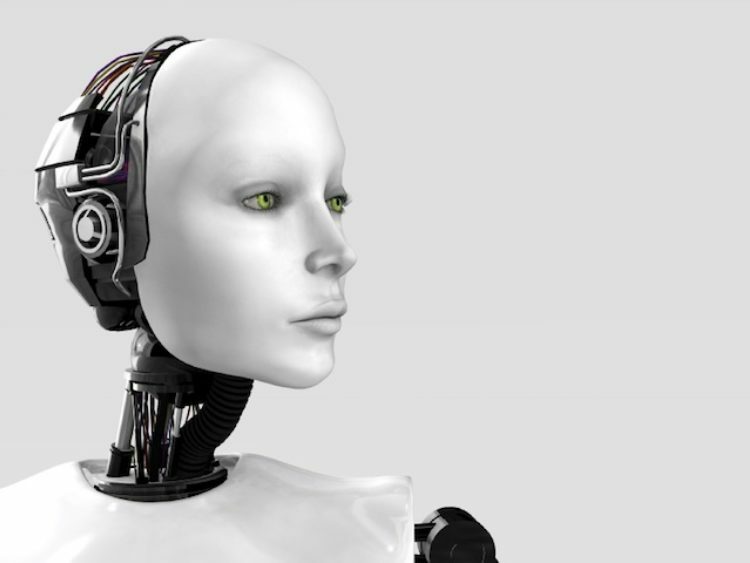 What is the role of women in the transhumanist movement? The role of women in the movement is crucial. Women have unique ways of looking at the world and the necessities of the future, which foster views that have been suppressed over time and across cultures. 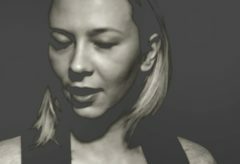 If people desire to work out a wise, balanced position on the regeneration of the body, reproductive issues, and the use of new technologies for reproduction techniques, the female voice is essential. I believe that women, in addition to child bearing, innate material instinct, and introspection, often have a gift of healing and helping others. These characteristics are very close to core transhumanist values. Aleksandra Przegalińska PhD in the Department of Philosophy of Culture, graduate of Philosophy and Journalism and Communication Studies at the University of Wroclaw, as well as interdisciplinary Studies in the Humanities at the Liberales Artes Academy. As a William J. Fulbright Scholar I majored in Sociology at The New School for Social Research in New York, where I have participated in research on identity in virtual reality, with particular emphasis on Second Life. I am primarily interested in consequences of introducing artificial beings and systems to people’s social and professional sphere.